The 2015 results are in! 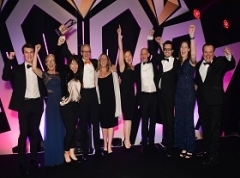 The winners of the Gatwick Diamond Business Awards were announced in front of an audience of over 600 of the top business people in the Diamond. 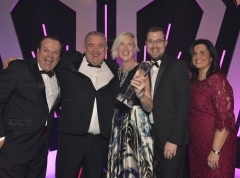 "Each year we get more and more interest in the awards and this year, our seventh, gave another record number of entries" said Jeremy Taylor of Gatwick Diamond Business, founder of the Awards. 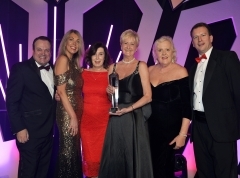 "It was also a record number of attendees, all who came along to reflect on and recognise the quality, diversity and achievement of some outstanding businesses and the people who work in them." The winners each received their iconic engraved award. There will be a further presentation later in April where each winner will be given a banner to promote their achievement. The runners up each received a certificate to recognise their achievement in being placed. "The competition this year was very hotly contested and there were any number of businesses that, in any other year, could have been winners" continued Jeremy. "Some of the judges have asked if we can recognise some of the entries that didn't make the final three and I hope they will try again in 2016. We also know that a number of the entrants have been approached to work with the judging companies. 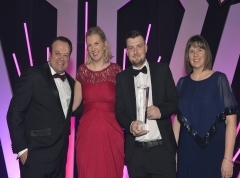 That means local businesses are now supplying some of the biggest and best businesses in the Gatwick Diamond." with the Awards Dinner on 17th March 2016.